Boston developer Mount Vernon Co. is moving to where a big piece of the action is in the multifamily market. 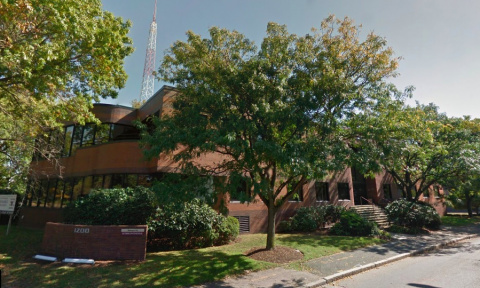 The company, which owns more than 1,500 apartment units in Greater Boston including nearly 1,000 in Allston-Brighton, acquired a new 19,250-square-foot headquarters at 1200 Soldiers Field Road from Intercontinental Real Estate Corp. on May 24 for $3.8 million. It will relocate from Haddon Hall at 29 Commonwealth Ave. in mid-August, founder and Chairman Bruce Percelay said. “We’re putting our money where our mouths are and moving from Back Bay to an Allston address,” he said. Mount Vernon Co. specializes in what Percelay calls “class A rental opportunities at class B-plus prices,” with rents in the low $3-per-square-foot range providing approximate 30 percent discounts to new luxury complexes downtown. The portfolio is virtually 100 percent occupied. Mount Vernon Co. also is testing the market for new construction in Allston with “The Wave,” a 132-unit rental complex at 530 Western Ave. and Leo Birmingham Parkway. Completion is scheduled for spring 2018. That project joins the 295-unit Residences at Boston Landing scheduled to open next spring at 125 Guest St. and preliminary plans for more than 1,000 apartments by Stop & Shop Supermarket Co. on Everett Street and 262 residential units proposed by New Jersey-based Michaels Organization at 40 Rugg Road. And Village Automotive Group is exploring plans for redevelopment of its 75 North Beacon St. property, including a potential multifamily component.